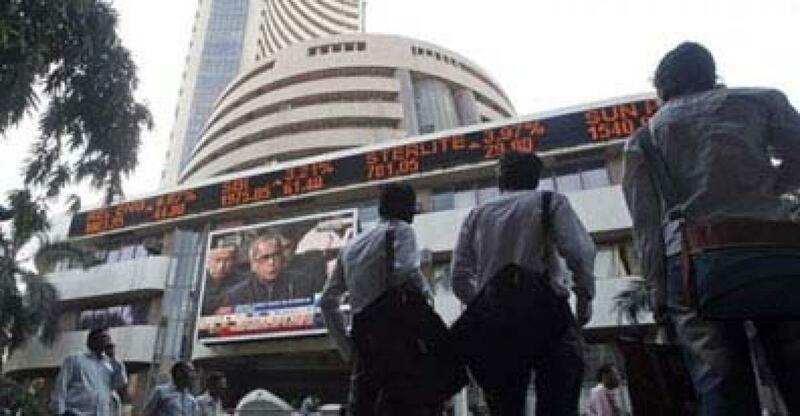 Uncertainty over the Chinese markets, profit bookings and the upcoming derivatives expiry flared-up volatility in the Indian equity markets -- leading to a barometer index trading 82 points down during the mid-afternoon trade session on Wednesday. The barometer 30-scrip sensitive index (Sensex) of the Bombay Stock Exchange (BSE), which opened at 26,063.27 points, was trading at 25,950.28 points (at 2.00 p.m.) -- down 82.10 points or 0.32 percent from its previous close at 26,032.38 points. The Sensex touched a high of 26,156.61 points and a low of 25,687.69 points during intra-day trade so far. Bearish sentiments also subdued trade at the National Stock Exchange (NSE). The broader 50-scrip CNX Nifty of the NSE was lower at 7,863.05 points, with mild losses of 17.65 points, or 0.22 percent.